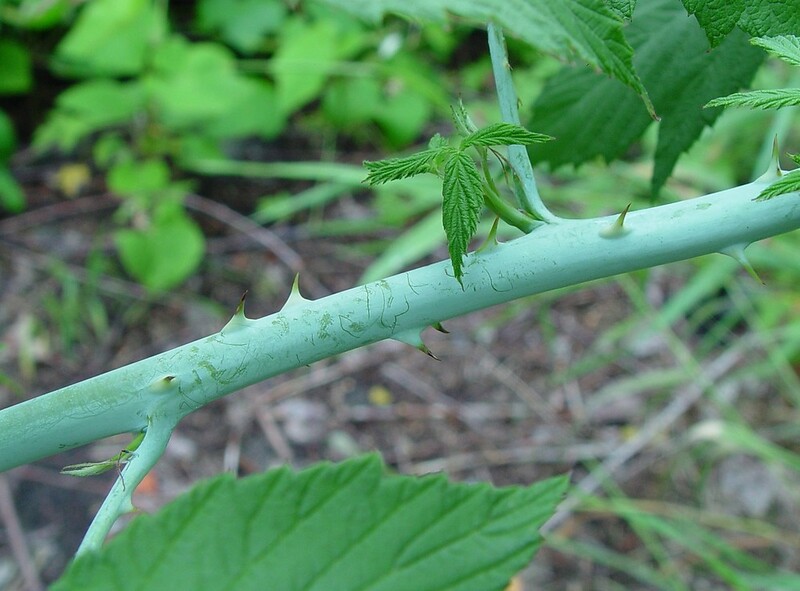 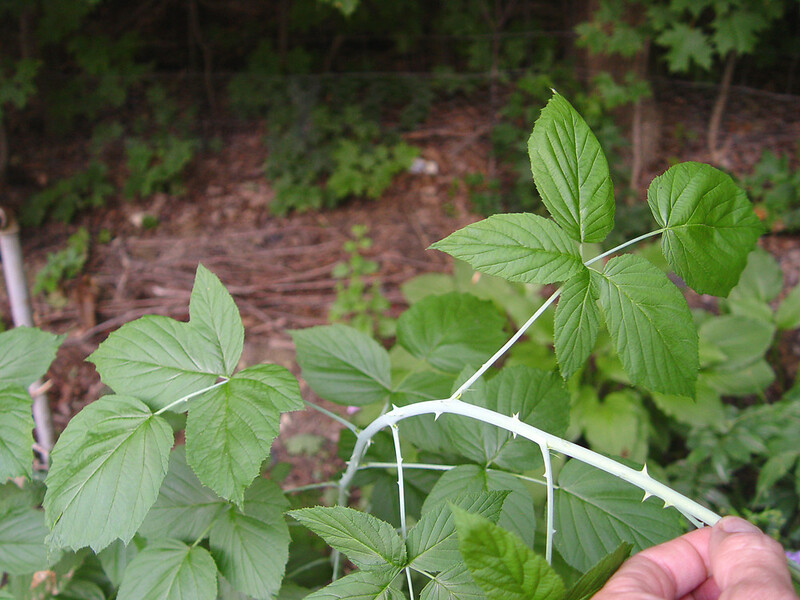 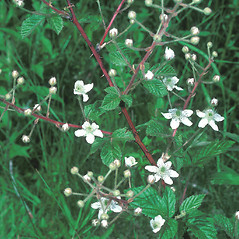 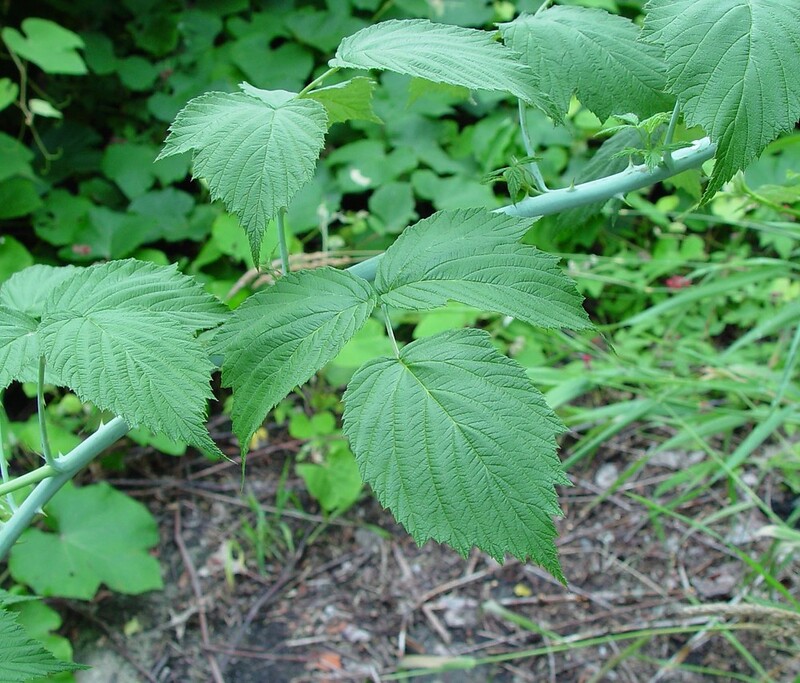 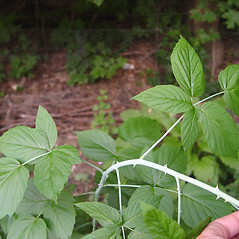 Black raspberry has first-year canes that have a whitish bloom that can be rubbed off (they are glaucous). 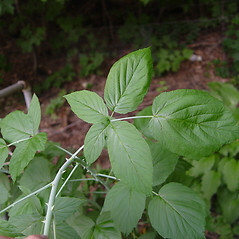 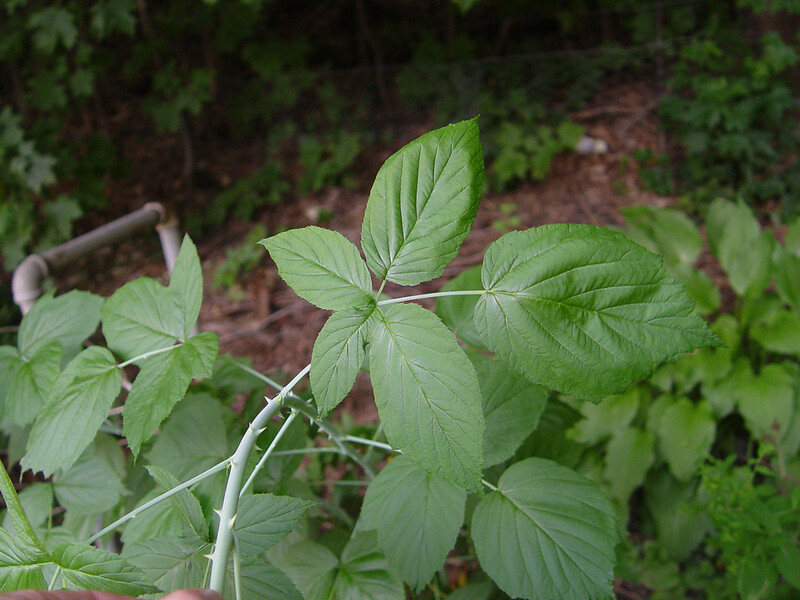 The compound leaves have three leaflets that are white-hairy on their undersides. 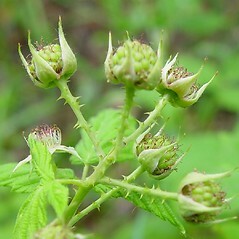 Although the canes of this species are well-armed and difficult to penetrate, the tasty berries are well worth enduring a few scratches. 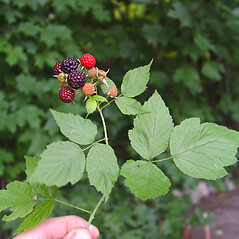 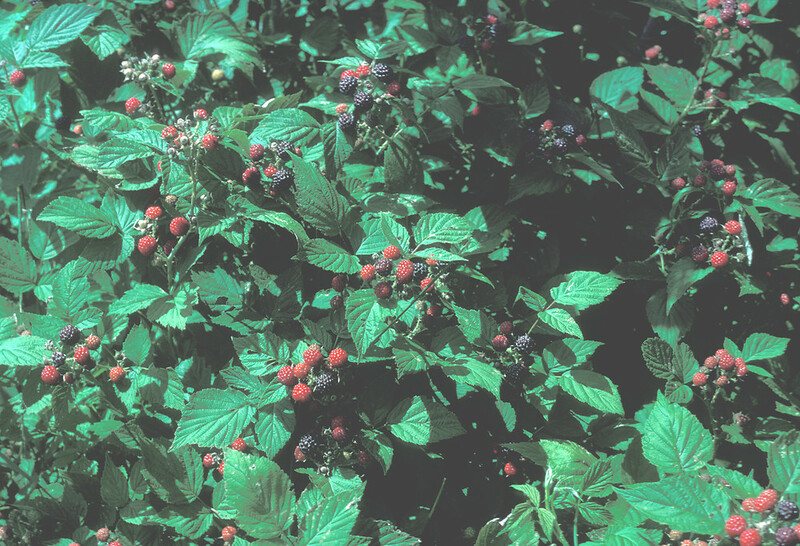 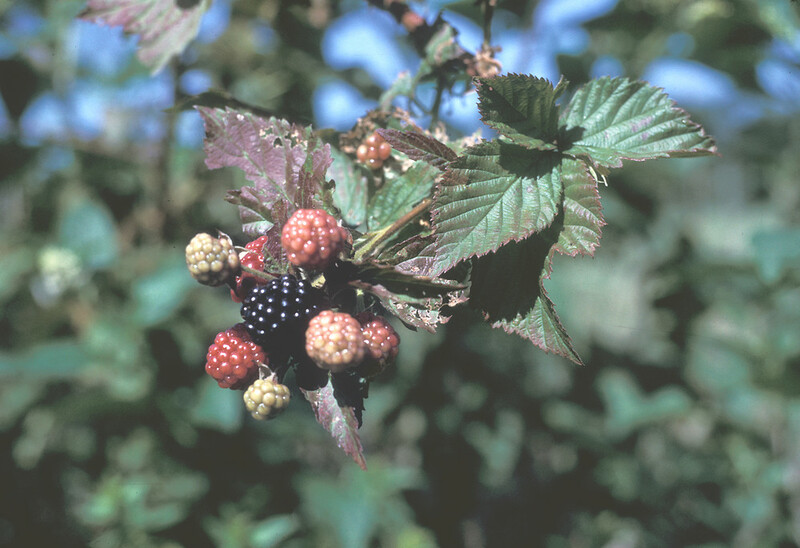 Many mammals and birds eat black raspberries as well. 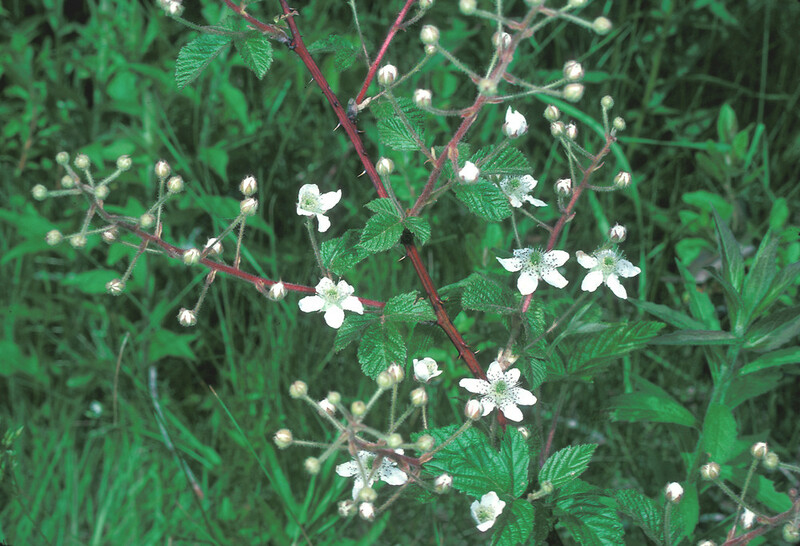 Many bee species are attracted to the nectar produced by the narrow-petaled, white flowers. 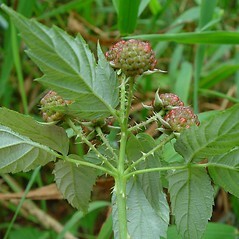 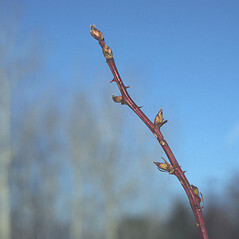 fruit red, flower stalks without stout prickles and with usually stipitate glands (vs.R. 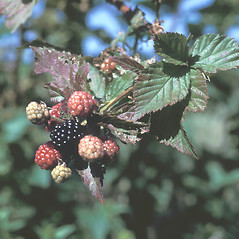 occidentalis, with fruit purple-black, flower stalks armed with stout prickles and lacking stipitate glands). 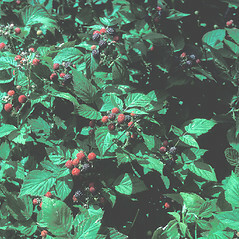 black raspberry. 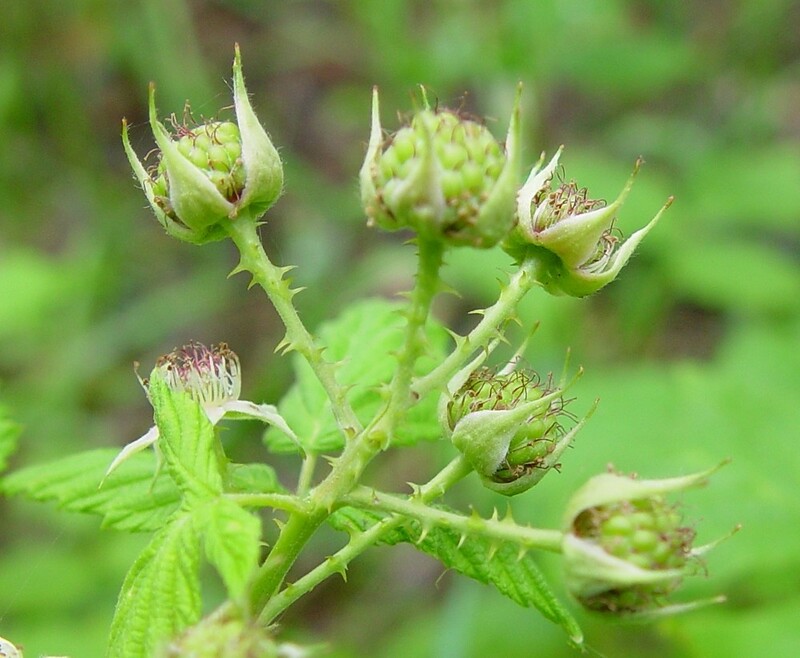 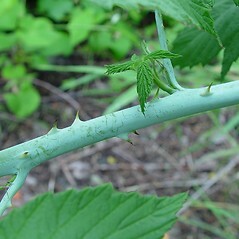 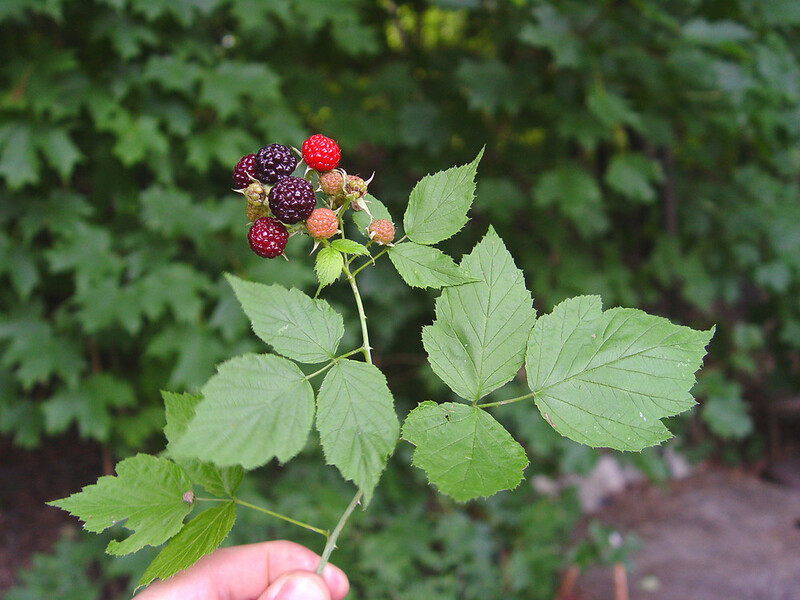 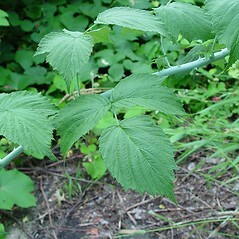 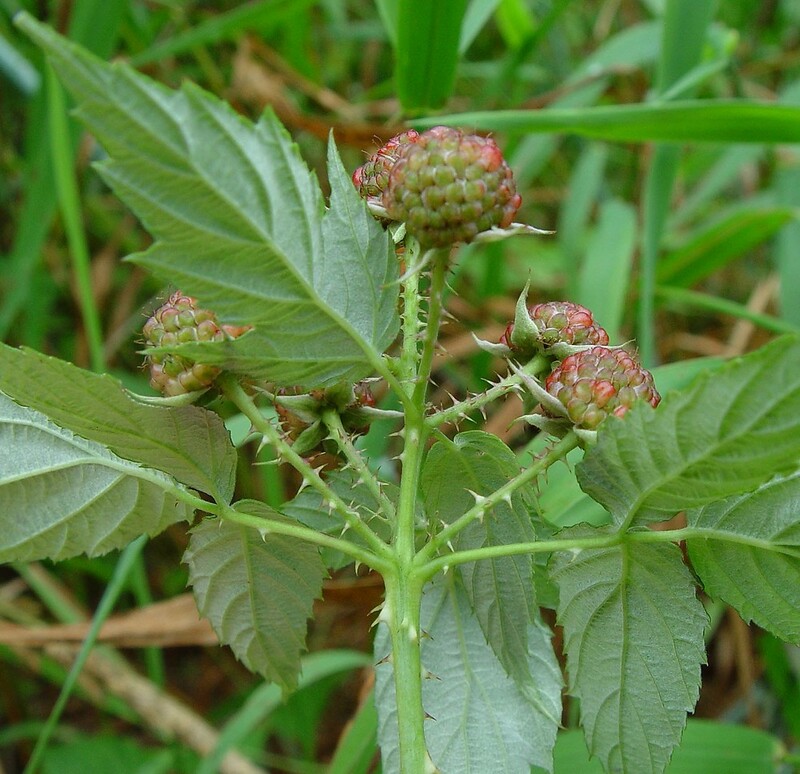 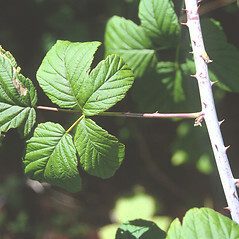 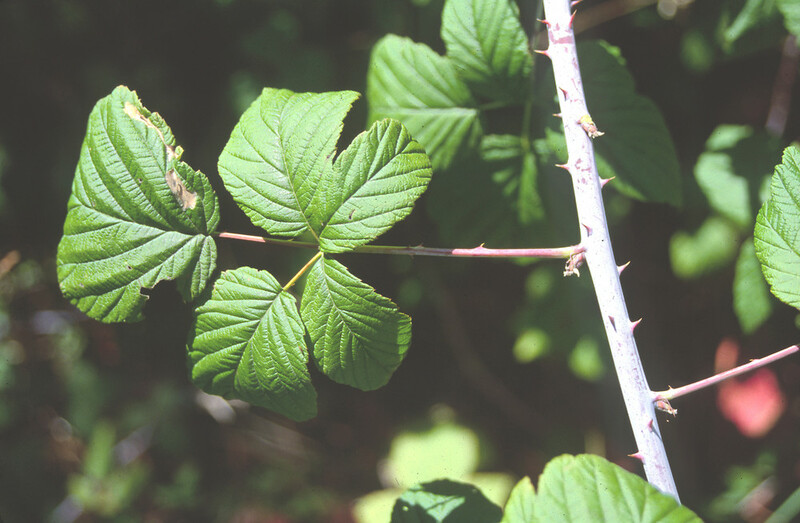 Rubus occidentalis L. var. 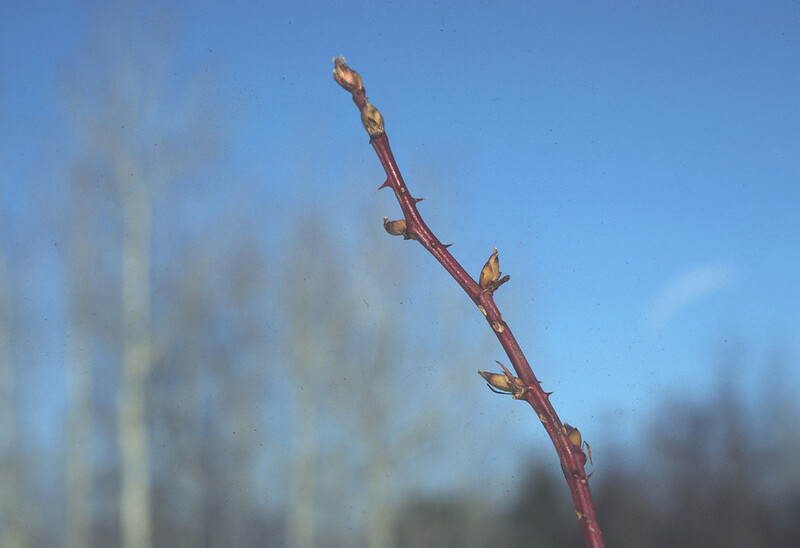 pallidus Bailey • CT, MA, ME, NH, RI, VT. Forests, forest borders, clearings, fields, roadsides, banks.